The Lawyer Portal (TLP) aims to be the definitive resource for everyone considering a career in law, whatever their stage or background. 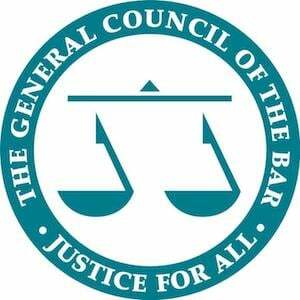 We are officially partnered with the Bar Council and the Chartered Institute of Legal Executives (CILEx). The Lawyer Portal is brought to you by the creators of The Medic Portal (used by hundreds of thousands of aspiring medics every year). The content is written by professional lawyers and education experts, with input from top law firms, like Freshfields, Hogan Lovells, Dentons and many more, as well as the professional bodies with whom we are partnered. Watch this video to see what The Lawyer Portal does in 60 seconds! The Lawyer Portal is the second venture of The Career Portal (TCP), a company dedicated to creating high quality, career-driven education platforms. Our goal is to help people achieve their aspirations. TLP builds on the success of our first venture, The Medic Portal (TMP). TMP is officially partnered with the Royal Society of Medicine. It engages with 750,000+ online users per year – as well as hundreds of schools across three continents. All of The Career Portal’s platforms aim to widen participation into professional careers. The Lawyer Portal is no exception. Our free guides, comprehensively covering every stage of the application process, are accessible to everyone at no charge. We also aim to provide low-cost access to events that hundreds of aspiring lawyers can attend, and to work with law firms to ensure the best and brightest students from all backgrounds have the chance to pursue a legal career. We work with both fee-paying and non-fee-paying schools. Check out a comprehensive list of events from The Lawyer Portal and book your place today!